Two, four, six, eight..don't let your customers alienate. This is the haiku sung by businesses, in today's age of intense competition for customer eyeballs and wallets. But, ensuring loyalty of the customer is steeper than Baldwin Street. Here are five key lessons that will make the climb easier and help your business thrive. Getting personal with customers will give you that edge over competition. The combination of big data and 360-degree view in your CRM solutions conjures a holistic customer profile. This will help you know the customers better than themselves, enhance engagement and experience, run targeted marketing campaigns and bring out new products for increased penetration and wallet share. For your business, A stands for amazing analytics. With it, you can have the superbusiness ability to end customer churn. The elements of purchase history, browsing trends and customer profile are meshed together with descriptive, diagnostic, predictive and prescriptive analytics. This delivers insights that can be then be put to work through win back strategies. A leading insurer in Asia wanted to protect its revenue and enhance client service. Combining holistic customer profile and historical data in insurance CRM, it was able to build retention models that were then assigned risk scores with predictive analytics. High risk customers were then passed on to special teams for win backs. The results included double-digit customer retention percentages and an increase in service team capacity to monitor high risk accounts. Ask yourself this question ,"What do I want to achieve with customer loyalty?" and " How will I go about it?". There are four probable business outcomes. You need to capture data from surveys, interaction call recording, first-call resolution data, social media and combine them with customer attributes like demographic, behavioral and psychographic. The insights can then be derived from descriptive and predictive analytics. To achieve this business outcome, you need to examine transactional histories across channels (mobile, online and instore), online behavior and again, customer attributes like demographic, behavioral and psychographic. You can then apply predictive analytics to garner insights. Loyalty is a battle of perceptions. To know customer's views on your brand and its products/services, you need to tap into social networks, surveys and campaign responses. Apply sentiment analysis on the feedback receive and use this intelligence in future strategy models. Optimize yours service team with digital CRM tools which is infused with AI driven chatbot, cobrowsing features, on-demand text, video chats and social interactions. ‘Past performance is no guarantee for future’ applies not only to equity stocks, but also to customer loyalty. Customers go through different stages throughout their life-cycle. Their income, aspirations increase over time as they move up their career and business. Thus, your business should constantly innovate with new loyalty programs to keep the customers engaged and loyal. Not every customer of yours will be profitable. It is often seen that a small number of customers contribute the largest to a brand’s profit base. The Pareto principle, named after Vilfredo Pareto, an Italian economist, states that 80% of the profits is contributed by 20% of the customers. Your CRM software will help you distinguish and engage the top 20%. 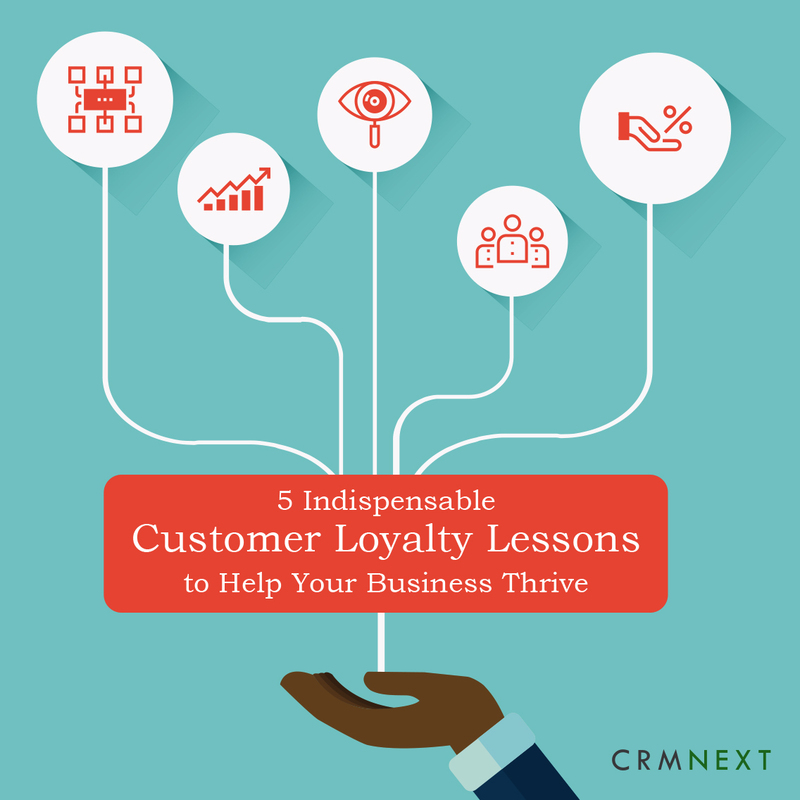 Incorporate these five key lessons in customer service through CRM and base your customer loyalty on an unassailable pedestal.